RECYCLING : is it a farce in Australia? An interesting article regarding waste processing in Victoria. 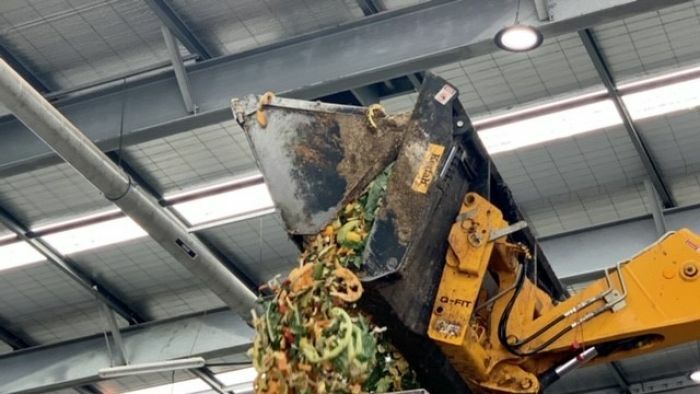 Food scrap power and plastic roads: is this the solution to our waste crisis? 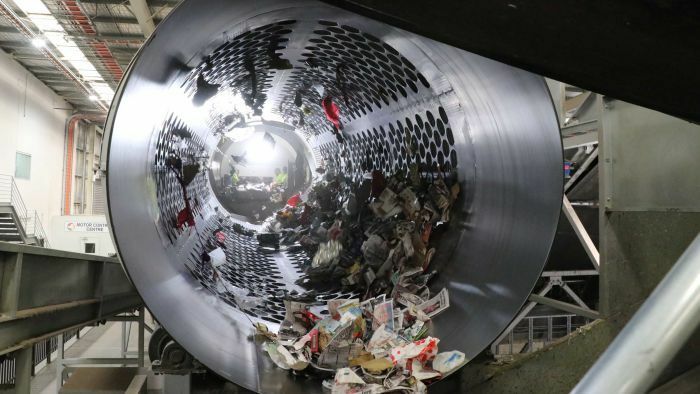 China's ban on Australian recyclables has thrown an industry into chaos, but innovative projects are changing the way we see waste. On repurposing soft plastics and toner cartridge waste for road pavement binder. We already have a real crisis with micro plastics in the environment. How stupid. Thanks @Fred123 for the alert. Recycling here is not a farce but very inconvenient and probably creates more unwanted emissions than just dumping the item in the tip! I say this because there are only limited items that we can easily recycle…eg some glass and plastic drink bottles, some paper and cardboard and household goods eg fridges etc. and some plastic wraps to Coles. As regards inconvenience: over the years I have accumulated numerous X-ray films. I knew recycling was possible but had to drive 20k to deliver them or pay a frightening amount to Aus. Post! I now know that I can recycle toothbrushes and toothpaste tubes by posting to an interstate address. As a single person this, like many other recycling options, would mean I have to keep a wide variety of containers in my garage, eventually consigning the car to the driveway. Why cannot my local tip provide multiple bins for any recyclable object? Again, is it worth recycling items which cannot be reprocessed locally? Surely the resultant unwanted emissions will defeat the purpose of recycling…I dread to think how many trucks and how much fuel is burnt to transport the recyclable object to its final destination! New ideas please? I dread to think how many trucks and how much fuel is burnt to transport the recyclable object to its final destination! New ideas please? Probably a similar or lesser amount required to take virgin raw materials from the mine/oil well to the processor as these distances are usually significantly greater, especially if recycle material processing occurs locally. Recycling is one of the easiest ways you can help the environment. As far as I know Queensland bauxite is refined only in Gladstone and all cans for recycling must also go to Gladstone for recycling! I am entirely in favour of recycling but do not believe the process is yet anywhere near as efficient as it might be! Most rural areas in Queensland are not set up for recycling eg when the 10c refund began this year many people drove from regional towns to the coast to enjoy the same advantage as city dwellers! We need, I believe, multiple mini recycling facilities close to urban areas so that the environmental gains are maximised and, a side benefit, more local jobs created! I doubt this could be done with aluminium but since we are trying to recycle as much as we can why not adopt the most efficient method? Yes, bauxite is refined in Gladstone, but I thunk you will find that aluminium cans don’t need to go there for recycing. They are two separate operations. In Brisbane there used to be an aluminium recycling plant which made ingots from alunimium at Eagle Farm…driving onto the old Gateway Motorway,mone coukd see into its operations. I suspect that there are simikar facilities other capitals. I am not sure where the ingots ended up though. Earlier in this thread you will commentsnin relation to Queensland’s container collection scheme. I agree that it was not well thought out and not as efficient as it should have been. BSL is now Queensland’s only, and Australia’s largest, aluminium can recycling facility. Currently consuming 13 million cans a month from suppliers in NSW and Queensland, the partnership with Endeavour will allow BSL to reduce freight costs by securing a local supply. Today’s launch with Endeavour Foundation is in advance of the Queensland Government introducing its Container Deposit Scheme in 2018. I believe the plant you are referring to is G James Glass & Aluminium. I always wondered just what those aluminium ingots were used for when I saw them on the way to the Brisbane Airport and I thought they must have used them to extrude their own aluminium materials onsite. For those in the Ipswich Qld area who want to cash in their 10c refund containers, the Salvation Army store at Bundamba do it for cash without the need for having a card from the Govt. You have to stack them yourself and sort them into the correct categories (coloured plastic, glass bottles and so on) into the supplied trays but they will keep a tally for you of the number of containers you have provided (if you want them to or you can count and provide the numbers yourself) and you will get the cash at the end of the transaction. do it for cash without the need for having a card from the Govt. The reverse vending machines at MyTOMA will also issue vouchers for use at Woolworths without the need for registering with the government as well…just turn up and place the containers into the reverse vending machine. Not cash, but if one shops at Woolworths these vouchers are the next best thing. Aye but the vouchers lock you into a retailer or some limited choice of retailers, cash is more democratic in it’s choices. If you have no other choice without having to provide personal details or travel expenses beyond or near the value, then the machines are great. It would be even better if instead of using Tomra, Woolies and Coles etc put in their own recycling. Yes, a reverse vending machine where you pick up trolleys on the way into every store. Better still they could then backload in the empty delivery trucks all the recycled material. The trucks do go back to a regional or national distribution centre. It would be a great way to aggregate all that waste. Probably an ideal location for the recycling plants given the proximity to all that waste too? Why not legislate to make the supermarket chains responsible for recycling? Given Woolies, Coles etc do talk often to government, it would be so simple to make the change. An interesting article regarding what is happening, and not happening, with recycling in Australia. What a disgrace that our Governments cannot get their act together. There is no excuse for the lack of government action in this field. Other countries (check Scandinavia especially) have already 99% solved their waste disposal problems - and not by exporting them! Given that our politicians regularly treat themselves to ‘overseas information junkets’ to ‘resolve’ much less important questions they individually and collectively should be held responsible for years of inaction! I ask myself too, now that we are in election mode, who is proposing solutions…no party as far as I have heard! It seems such action is not considered an election winner! The government is only one part of the problem…industry and consumers are equally at fault. The perceptions of virgin is better still prevails throughout the supply chain. Illegal recycle plants in Malaysia, with masses of plastic waste from Australia, and the liquids used to dissolve plastic materials contaminating local drinking water. A Malaysian lawyer kept saying: Take your rubbish back to Au with you. The government is the best starting point for any new initiative that needs planning and funding on a national level It too is the compiler of new legislation. It seems to me that all levels of government have put this need into the too hard basket…where is an effective solution addressed in the current vote buying initiatives? We are going to have electric cars whether we can afford them or not but cannot employ waste initiatives that have been effectively undertaken by small Scandinavian countries. Yes, they are small countries but if we limited out initial efforts to capital cities, then slowly extended the abilities we would succeed. It might take years but we must make a start. It is unconscionable to “dump” our waste in poorer countries with fragile environments and corruptible governments and legislators! Because this would be logical and the smart thing to do and Australians are too stupid. Why is it that every other country that runs a container refund scheme uses Reverse Vending Machines? The government (all levels) are 100% responsible for the mess that recycling is in, they have once again allowed private companies who only care about a profit to be responsible for the management of something that is a government responsibility. Realistically we cannot achieve the levels of recycling that other countries achieve but we can do so much more, this needs to be done at a federal level as the state and local governments are inept and we need an Australian wide approach starting with containers which should be handled at the point of sale like other countries. And in all larger areas say twice a year councils should collect recyclables from the kerbside like paints, batteries and other recyclable goods they can’t/won’t take with normal recycling. Expecting people to make special trips to a depot that can be on the other side of the city that is only open limited hours is absurd. The same applies to rubbish bins around cities, parks etc, it’s rare for there to be recycling bins in Australia but common in Europe to see a general rubbish and two or three additional recycling bins.Again we can’t do this everywhere but it should be a consideration. I do everything that I can to recycle, re-use and buy correctly in the first place but the government (all levels) has let everyone down. I’m starting to wonder why even bother recycling in the first place if they just dump it into landfill. Why should I spend the time sorting etc when the government doesn’t care? There are just too many things wrong with recycling in Australia to fix at this point, from lack of infrastructure, shoddy cheap products that are no longer repaired, to excessive packaging and it goes on and on. And with loss of support from people who tried to the do the right thing I can’t see anything changing no matter how many schemes and fees and levies and charges they force onto us. Government is only part of the solution…they manage waste collection through contracts to minimise cost to the waste generatir/consumer. They can also encourage reuse, recycling etc, but it is difficult to mandate these things as it needs 100% community and industry support. Not doing so means scare campaigns will run rife spreading persuasive (mis) information which can easily change community perceptions. The main problem with the current situation is Australians (individuals or companies) are reluctant to reuse recycled materials in many applications as there is a perception of unreasonable risks…both commercially and quality…many not based on facts. We have instead exported our materials to those countries where such perception are less/nonexistent. …making us in effect at the mercy of others. It is easy to blame others, but in the end we are all to blame for the current situation.